The Antonine Plague decimates two-thirds of Romans (possibly the most widespread and catastrophic disease in Imperial Rome). 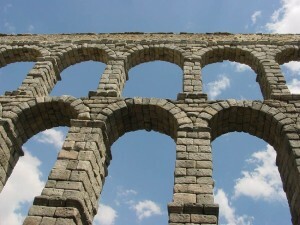 The accumulation of waste and garbage in Roman cities provided the motivation for the development of aqueducts, sewers, and public baths. The epidemic also wreaked havoc on the economy, agricultural production, and decimated the military. Many scholars also believe it created a climate that gave rise to monotheistic religions, including Christianity.